Robot vacuums equipped with mapping offer a host of advantages over sensor-driven models. Their high price tags, however, can be a deterrent, especially if you’re not yet sold on automating this household chore. Enter the Ecovacs Deebot 901, which fills a needed niche. It's a robot vacuum with premium features like floor mapping and Google Home and Amazon Alexa voice control, yet it's priced for more modest budgets. 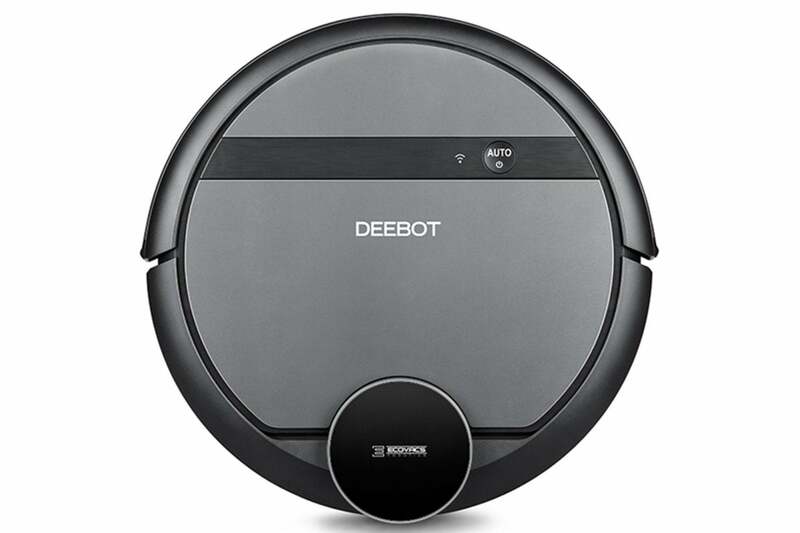 The Deebot 901 sports the same circular design and black-and-gray color scheme as virtually every other robot vacuum. It measures 13.9 x 13.9 x 3.3 inches, with about an inch or so of its overall height coming from the LDS (laser distance sensor) turret that sits atop the vacuum’s rear. A lid on the vacuum’s surface flips up to reveal an on/off switch, reset button, and the 901’s dustbin. Underneath, the 901 uses a pair of spinning edge brushes and a main roller brush to clean. The main brush can be swapped out for a “direct suction” attachment in homes with pets, as it’s designed to better deal with clumps of animal hair. The 901 cleans well in open areas but its high turret keeps it from getting under low couches and other furniture. There’s not much to setting up the 901. First snap the two edge brushes onto the bottom of the vacuum, then plug in the docking station, set the vacuum on the charging pins, and turn it on. While the 901 charges, download the Ecovacs mobile app, add the 901, and follow the onscreen prompts to connect it to your Wi-Fi network. During its initial cleaning—which you can initiate by pressing the Auto button on the vacuum or in the app—the 901 maps the room. (Curious as to how robot vacuums navigate your home? Read this story.) 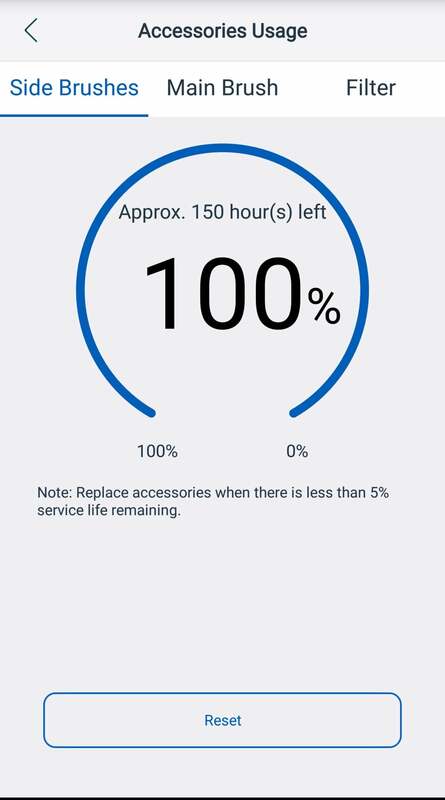 You can follow the vacuum’s movements on the app’s main screen (where the 901 is represented as a blue disc) as it builds the room layout that will allow you to customize future cleanings. The 901 moves in a fairly linear, back-and-forth pattern, slowing as it approaches objects its sensors detect. 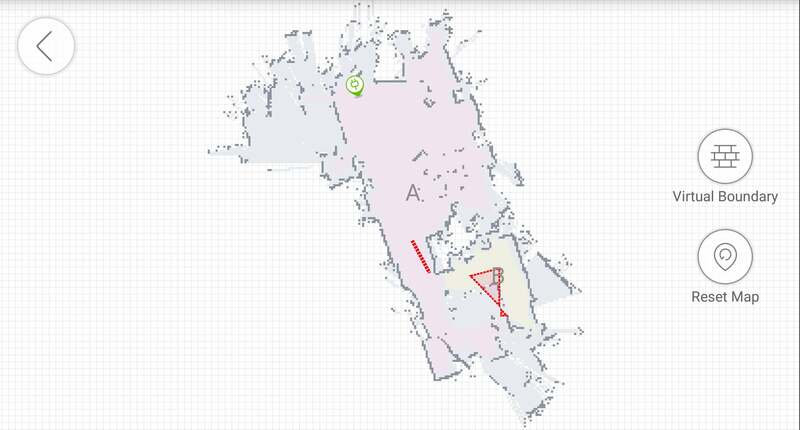 In out testing, it deftly navigated household obstacles like chair and table legs by plotting courses around them. It also gently pushed through toys, shoes, and other lose objects it encountered, and easily transitioned over uneven floor-to-floor transitions, such as between carpet and hardwood. You can create virtual boundaries—shown in red—on the map to tell the robot vacuum which areas to avoid. The only real navigation hang-ups I experienced were when the 901’s long spinning edge brushes snared a stray electrical or device cord. During these incidents, the vacuum reminded me of a hapless fish futilely trying to break free from a fisherman’s line, pushing itself up on one wheel and spinning doughnuts until it gave up and its female-voice prompt declared “I am suspended.” So, if you don’t want to repeatedly rush to the 901’s aid, it’s best to clear up any cable clutter before deploying it. After the 901’s initial cleaning is complete, you can start leveraging its navigation map to tailor future jobs. You can send the 901 to a general area of the floor simply by tapping it on the map, or you can mark tighter areas to clean by creating a bounding box on the map with your finger. Similarly, you can create virtual boundaries where you don’t want the 901 to clean by making a no-go line or shape in the map. The 901 honored these boundaries without fail, and it’s much easier than dealing with the magnetic tape or other physical boundaries most other robot vacuum models employ. You can further customize the 901’s behavior in the settings. Turning on Continuous Cleaning mode enables the vacuum to run until it needs to recharge, after which it will complete any unfinished cleaning. You can also schedule the 901 to automatically clean on designated days and times. And a Do Not Disturb feature disables any scheduled cleanings, as well as the 901’s voice reports and status lights, until you turn it off. The Ecovacs app lets you know when robot vacuum accessories are nearing the end of the their lifespan and need to be replaced. The app keeps you apprised of performance and status data as well. A cleaning log displays data like size of the area cleaned and cleaning duration, both for individual jobs and in aggregate. It also lets you know roughly how much usage the vacuum’s brushes and filter have left before you’ll have to replace them. The 901 did a decent job of cleaning low-pile carpet, hardwood, and linoleum. Dirt, dust, and food crumbs seemed easiest for it to handle. Bits of paper and pet hair, however, didn’t always make it into the dustbin, and instead got tangled in the roller brush. Replacing the brush with the direct suction attachment definitely improved 901’s ability to remove these particular types of debris, but the overall cleaning suffered without the agitation provided by the brush. Because of that, I often did two passes per cleaning, one with the brush and one without, but it quickly became evident I could probably have done a quicker and more complete cleaning by breaking out my stick vac. The 901 did its best cleaning in open areas. The edge brushes often left dirt along baseboards for me to tackle with a stand-up vacuum. And the turret made it near impossible for the 901 to get all the way under my couch—an area that’s need of cleaning is directly proportion to my avoidance of it—and the one time it did make it under, it got stuck and stopped cleaning until I freed it. Floor-mapping and smart-home integration at this price is almost unheard of, so if your interest in those premium features has been dampened by budget restrictions, the Deebot 901 is your chance to see firsthand what all the fuss is about. 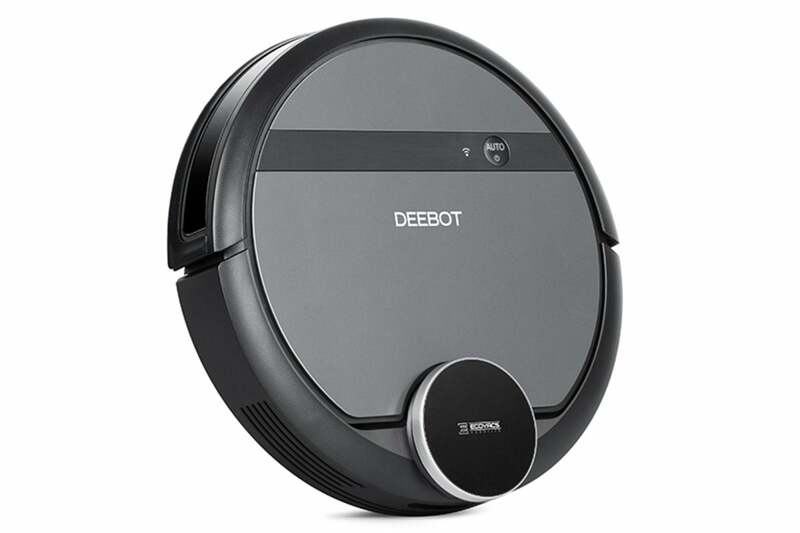 You won’t get quite the cleaning prowess of higher-priced models like iRobot’s Roomba 960 or Neato’s Botvac D7, but that may worth the savings and the opportunity to take advantage of its advanced features. If budget is your top concern, though, check out the equally affordable Eufy RoboVac 11s , which lacks the Deebot 901’s smarts, but will give your floors a better cleaning.